Etched upon the grassy plains, boglands and ‘scented meadows’ of County Kildare are stories of tragedy, triumph and endurance that transcend time in terms of both impact and fortitude. 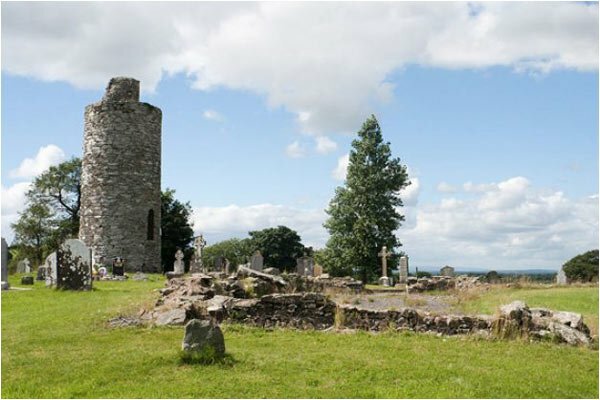 Some are shrouded in mythology such as the epic saga of the warrior Fionn mac Cumhaill whose birthplace on the Hill of Allen served as the training ground for his legendary band of Fianna warriors. 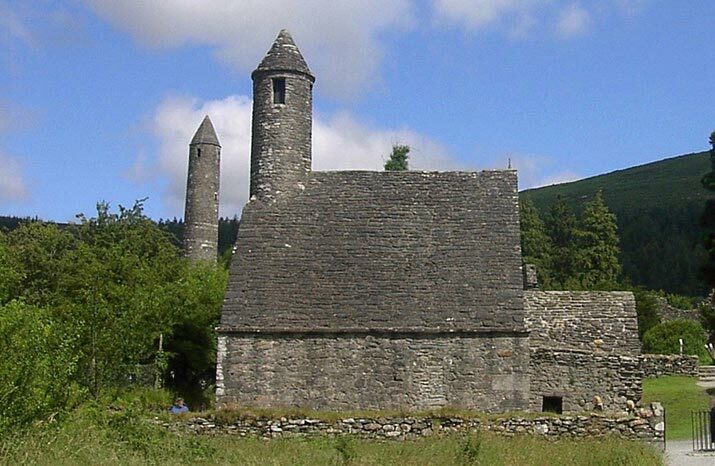 Consider the audacity of the first Christian missionaries, or saints, who sought to spread messages of forgiveness and love from their spiritual bases in Kildare, Naas, Monasterevin, Castledermot and elsewhere through the county. Or ponder the meteoric rise and fall of the miscellaneous dynasties that competed for the kingdom of Leinster from their strongholds at Lyons Hill, Naas, Mullaghmast and Knockaulin on the Curragh, only for their beloved bloodlines to all but vanish into obscurity as Ireland advanced into a darkening future. 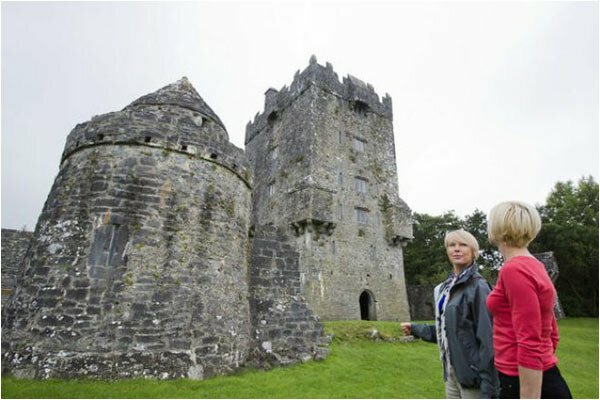 Anglo-Normans also came and went but no family has had a greater influence on the cultural and political landscape of County Kildare than the FitzGeralds, comprising of twenty Earls of Kildare and, to date, nine Dukes of Leinster. With stone castles such as Kilkea, Kildare, Woodstock and Maynooth, as well as their splendid Palladian mansion of Carton House, they frequently dictated whether the county was at peace or war. 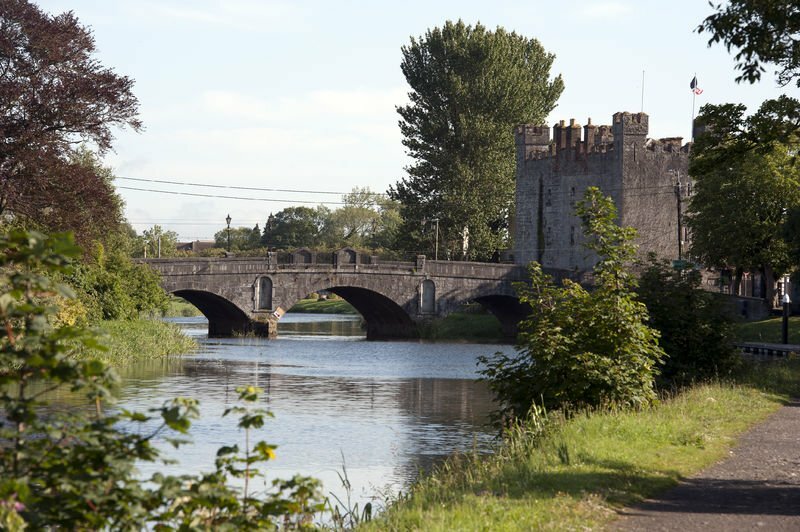 Maynooth Castle played a key role during the Wars of the Roses while the Silken Thomas pub in Kildare town recalls the doomed rebellion of a man who rose up against the might of Henry VIII. The FitzGerald family ultimately slid into an era of immense tragedy with the premature death of the 5th Duke of Leinster and his beautiful Duchess in the 1890s and the wretched fate that befell their three sons. The chronicles of the Big House families of County Kildare provide much grist for stories of adversity, extravagance, success and misfortune. The ascent of the La Touche and Maunsell banking house, the Guinness and Leeson brewing dynasties, the Henry linen merchants, the Barton wine merchants and the earls of Drogheda are offset by stories of beloved sons slain on battlefields, of bankruptcy and murder, of unrequited love and luscious scandal. The United Irishmen’s rebellion of 1798 played out with dramatic effect all across Kildare; its leaders Wolfe Tone, Napper Tandy and Lord Edward FitzGerald were all closely affiliated with the county. Mary Leadbeater, author and poet, recorded the horror that the rebellion wreaked upon the Quaker community of Ballitore; her story is now told in the rooms of her home on the village square. 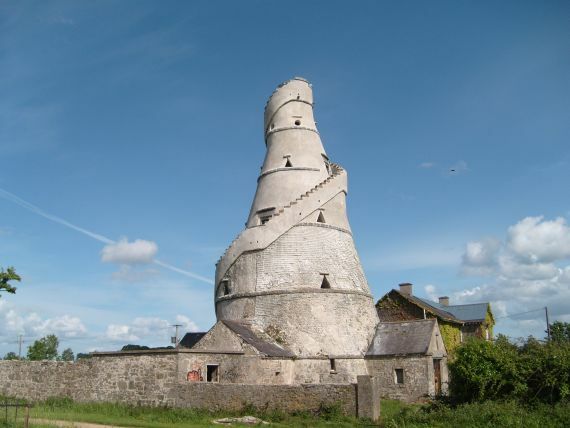 The dreadful hardship which the common people of Kildare experienced during the famine of the 1740s are recalled by both the Wonderful Barn at Leixlip and the nearby Conolly’s Folly, both built as employment enterprises by the Conolly family of Castletown.Workhouses in Naas, Celbridge and Athy attest to the grimness of the Great Famine, which reduced the county’s population by 16% or 18,765 people between 1841 and 1851. 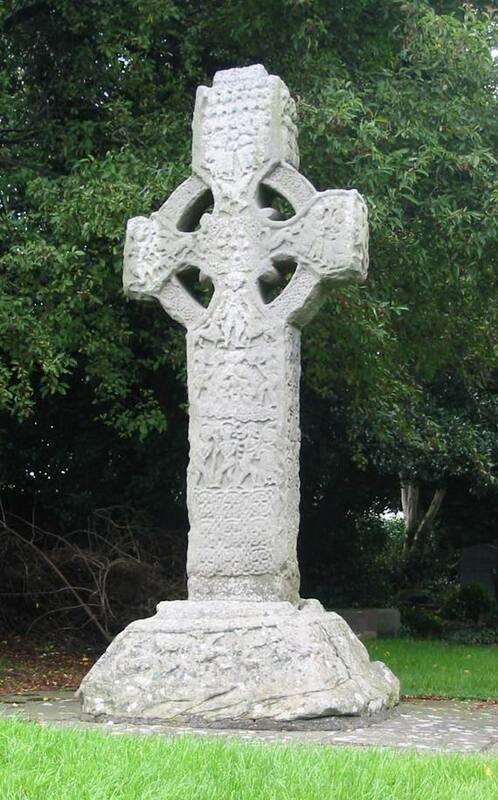 In 2015 the people of Naas erected a statue of John Devoy who was born at nearby Kill in 1842. The grandson of 1798 rebels, Devoy’s military service in the French Foreign Legion and the Fenians paved the way for him to become head of Clan na Gael, the most influential Irish-American organisation in the USA and the principal sponsor of the Easter Rising of 1916. On the other side of the coin, Harry de Courcy Wheeler of Robertstown was entrusted with accepting the surrender of many of the rebel commandants including Pearse, Ceannt, MacDonagh and Markievicz. 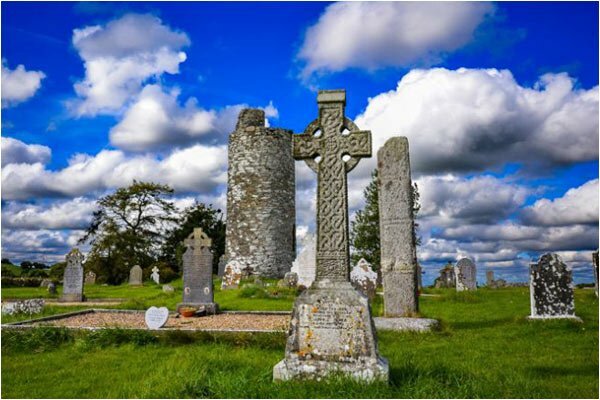 Another Kildare connection to the revolutionary period can be found in Rathangan, the hometown of Ned Broy, a double agent working within the Dublin Metropolitan Police who provided vital intelligence for Michael Collins during the War of Independence. The ghastly death toll for the First World War included approximately 750 men and at least one female nurse from Co. Kildare, as well as hundreds of the soldiers who trained at the Curragh camp and many of the officers who hunted with the Kildare Hunt. Many of their stories have come to light on account of the ongoing centenary commemorations, such as that of Richard Francis Nugent of Stacumny, who was wounded on the Western Front and taken into the enemy’s front line trench for treatment but subsequently died. When the German troops invited his regiment to collect his body, the offer is said to have inspired the famous Christmas truce. 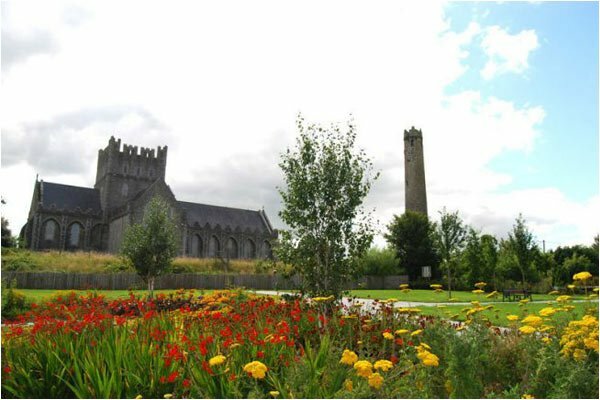 Many Kildare men and women both distinguished themselves and lost their lives in World War Two. The Luftwaffe bombed the Curragh and the camp itself served as an internment centre for republicans as well as Allied and Axis personnel captured on what was ostensibly neutral ground. Endurance need not involve war. One of Kildare’s lesser-known heroes was the ungainly 6 foot 6 inch boxer Dan Donnelly who, having worked for a trainer at Maddenstown on the Curragh, ended up defeating the English champion George Cooper in what was considered the prize-fight of the century in 1815. Donnelly’s arms were so extraordinarily long that he could reputedly button his knee breeches without stooping. Thousands of gentry and country-people alike gathered to witness his victory. 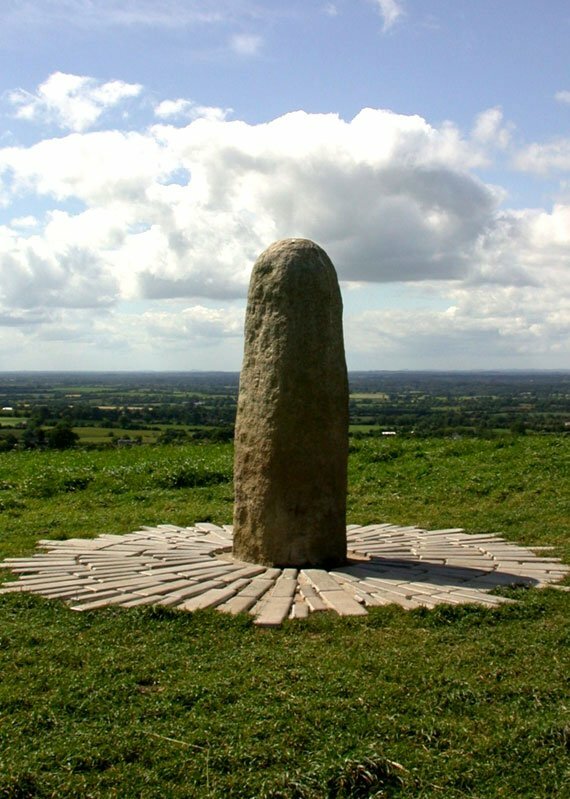 The fight took place in a hollow near the Athgarvan end of the Curragh where it is commemorated by a small limestone obelisk, erected by ‘admirers of the Ring’. 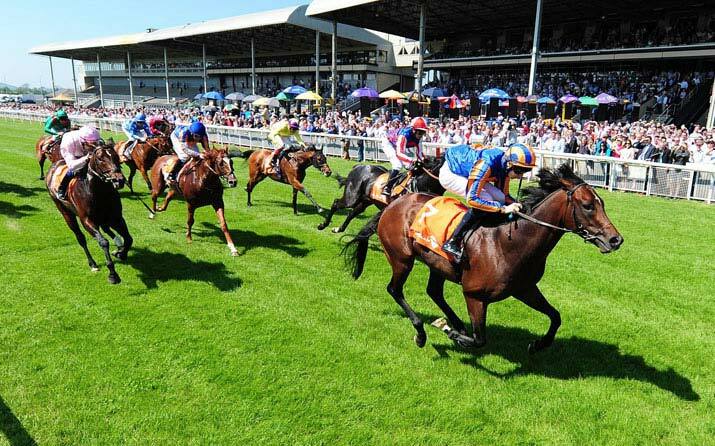 Another more contemporary champion of stamina is the Kildare jockey Ruby Walsh who grew up beside a small stud at Kill. In 2000 Ruby rode Papillion, trained by his father Ted, to win the Aintree Grand National, the world’s richest steeplechase. Sixteen days later, father and son won the Irish National at Fairyhouse with Comanche Court. Ruby has since been Ireland’s champion jockey for ten seasons. He is also the Cheltenham Festival’s most successful rider ever, racking up 52 wins to date, and has won the leading rider’s award ten times in the last thirteen years. That said, he has lost count of the number of times he has been catapulted from the saddle and crashed to the ground – dislocations, breaks, fractures, crushes, severances. He’s not the sport of guy who will stop easily; he once returned to racing 28 days after his spleen was removed. There can be no more definitive example of endurance than the explorer Ernest Shackleton for ‘Endurance’ was the name of the ship he commanded during his famous attempt to cross the Antarctic continent in 1914. The ship was beset and eventually crushed by ice leaving the 28-man crew stranded on drifting pack ice for just over a year. Shackleton then led a crew of five aboard a small boat through the perilous Drake Passage and astonishingly reached South Georgia Island 650 nautical miles away. He later returned to rescue the remaining crew they had left behind. Shackleton was born in 1874 at Kilkea House, scion of a Quaker family with a long connection to the area. Much of the garden at nearby Burtown House was planted by his cousin Isobel Fennell, whose descendants run the demesne today, while the Athy Heritage Centre-Museum host the annual Ernest Shackleton Autumn School to remember the era of heroic polar exploration. A statue to commemorate Shackleton was also unveiled [in / on 30] August 2016. Tales of Endurance & Tragedy is by Historian and Author Turtle Bunbury.